What's for dinner tonight? You'll find a year's-worth of ideas inside this inspiring volume of 365 recipes, including recipes for soups, salads, desserts, and one pot, vegetable, and healthy dishes. 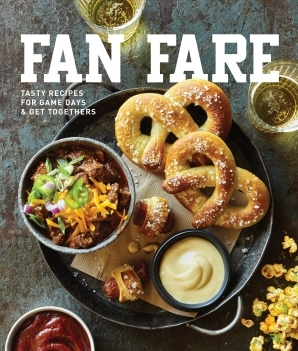 From the best-selling Williams Sonoma Of The Day series, comes a compilation of 365 favorite recipes, ranging from soups, salads, desserts, and one pot, vegetable, and healthy dishes. Find inspiration for cooking any day of the year in this indispensable collection. This colorful, calendar-style cookbook offers ideas to match any season, occasion, or mood. Organized by date, this book can be used as a guide to eating seasonally throughout the year. Stunning photographs and a colorful graphic design add visual appeal to the enticing cookbook. Kate McMillan is chef and owner of an eponymous catering company and an instructor at Tante Marie’s Cooking School in San Francisco. Kate has worked as an event planner for Vogue and Glamour magazines. She lives in Northern California with her husband and three young daughters. Erin Kunkel is an award-winning food and lifestyle photographer who works around the world, and calls the foggy outerlands of San Francisco home. When she’s not behind the camera, she can be found gardening, cooking, and dreaming of warm water surf spots.